Underwriting refers to the process of issuance of an insurance policy whereby various factors such as age, medical history, gender, physical condition and financial background are evaluated to determine the risk class for proposed insured. Insurance underwriter is an employee or an agent of an insurance company carrying out this process to issue an insurance policy. Life insurance policy is important, and it is advisable for any individual to apply or seek coverage from the insurer. That is because it will be a helpful source of funds for your family or business partners to keep them afloat or in a good financial in the event of your death. Preferred: this group represents a better than the risk considered to be average and are charged at lower rates. Standard: this group represents a standard risk and is charged at standard rate. Rated: the group represents a risk that is above the average, and they are charged at a higher rate. Postponed: this group awaits the collection of the additional information and is classified as postponed when the time to re-evaluate or factors influencing the underwriting decision has elapsed. Declined; this group represents the uninsurable risks because of the great risks posed by the insured to the insurer. Ensuring that the proposed insured individuals are suitably classified in the right risk class. That is to ensure that the premiums are kept down as well as making life insurance more affordable for the huge number of applicants. Underwriting process also safeguards the insurer or insurance company from potential fraud for the individuals who misrepresent themselves. To protect the insurer’s book of business from risks that could cause losses and jeopardize or undermine the company’s growth or cause bankruptcy. To determine the amount of coverage the proposed insured or applicant should receive. To determine the periodical amount of premium the insured should pay for that particular sum of the coverage. The underwriter will evaluate the risk factors, and when he finds that the applicant presents too much of a risk to the insurance company, he or she will ultimately deny the applicant’s coverage altogether. 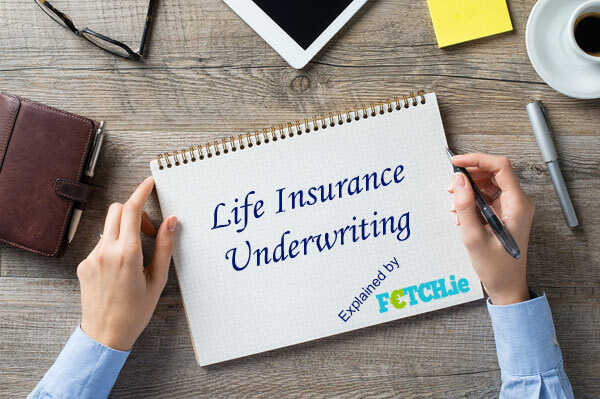 What are the factors that the underwriter will consider when underwriting a life insurance policy? There are various elements of risk that the underwriter will consider extensively before issuing the applicant with a life insurance policy and are determinants of the level of risk posed by the applicant. These risk elements are crucial to determining the probability of how long the applicant is going to live. The underwriter will then evaluate the number of years the applicant is expected to live with the average life expectancy so as to determine if the insurer is in a position to issue him or her with the coverage. When the estimated life expectancy of an applicant is longer than projected, the premiums that the insured will be expected for to pay for the life insurance policy will avail investment funds, and the insurer will be willing to take on the risk. This will result in profits for the insurer as the compensation amount in the event of death will be less than the combined amount of premiums paid over the extra period and the investment returns of the funds. Weight and height of the applicant. The amount of applicant’s income. The health history of the applicant’s family. Marital status of the applicant. Whether the applicant has children or not. The amount of life insurance already in place or that the applicant intends to purchase. Hobbies that the proposed insured undertakes (such habits like rock climbing or individual piloting are considered as high risk). The above factors are extensively analyzed and are determinants for the applicant insurance life policy to be approved or denied. It is equally important as well to seek the services of an insurance broker who can save time with the hassles of finding a suitable insurer that is most appropriate to your condition such as health or weight. Information requirements, however, vary with age and the amount of life insurance coverage requested by the applicant and the older you are or, the larger the coverage amount, the more the requirement for more information. Reviewing of financial questionnaires of the applicant. Responses to your questionnaires on occupation and hobbies. Prescription drug history by crosschecking the medical database. Blood work to determine test such as liver and kidney functions, as well as cholesterol and glucose. Paramedical examination of pulse, blood pressure and other health questions. Inspection reports through an interview that is carried out by the approved inspection company to collect additional personal or business information. The underwriting process can take days, few weeks or few months depending on the information that the insurer seeks to collect to determine the level of risk or the premium to be paid. It is always advisable to consult extensively with the insurance experts or consultants before taking a life insurance cover.